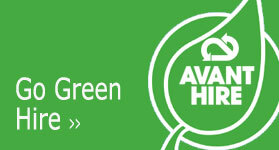 Avant Hire South Wales Ltd provides a comprehensive service to the Groundcare industry and beyond. We offer a range high quality professional equipment from leading manufacturers that can be tailored to customer’s needs to provide a complete solution, in every environment. Across our range, customers have access to high performance equipment designed to increase productivity, fulfil a range of tasks, transform the way you operate and help protect the environment. Working with premium brand manufacturers including AS Motor, Avant Tecno, Eliet, HDK, Koppl, Makita, Rotair and many more, we can offer cost effective and specialist solutions to your business, whether you’re in Landscaping, Horticulture, Arboriculture, Forestry, Agriculture, Property Maintenance or Construction. We will also help you in finding an affordable solution by complementing direct sales with attractive and flexible hire packages. Short term hire is also available with or without fully trained operatives. Our complete service also provides a responsive and reliable product support to all our customers from our service facilities near Cardiff, supported by mobile service vehicles to allow for on-site servicing and repair. Avant Hire (South Wales) Ltd has been appointed a Makita Outdoor Power Product Dealer for South Wales. More, than just power tools. 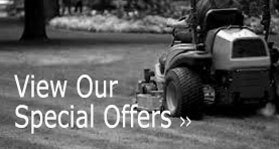 Makita, has for many years produced a wide range of Grounds maintenance, landscaping and forestry products. Makita produce a range of Battery, Electric and Engine powered Lawnmowers, Brushcutters, Strimmers, Blowers, Hedge trimmers and Chainsaws. Go Green with the fuel saving Makita MM4 Four Stroke engine powered equipment. Go Even Greener with the Makita 18 and 36 volt Cordless range. Contact us to arrange a free demonstration of Makita Outdoor Power Products.